Microsoft Surface CloudBook Release Date, Specs, Price, Features, Rumors, News & Updates: Recently Washington-based tech giant announced that it will be hosting a press conference on May 2, 2017, and as is the case with any such announcement, the rumors have already started making rounds. Is Microsoft going to release a successor of its Surface series products? Microsoft Surface Book 2? or Surface Pro 5? Or is it the essence of the brand—another Windows OS? 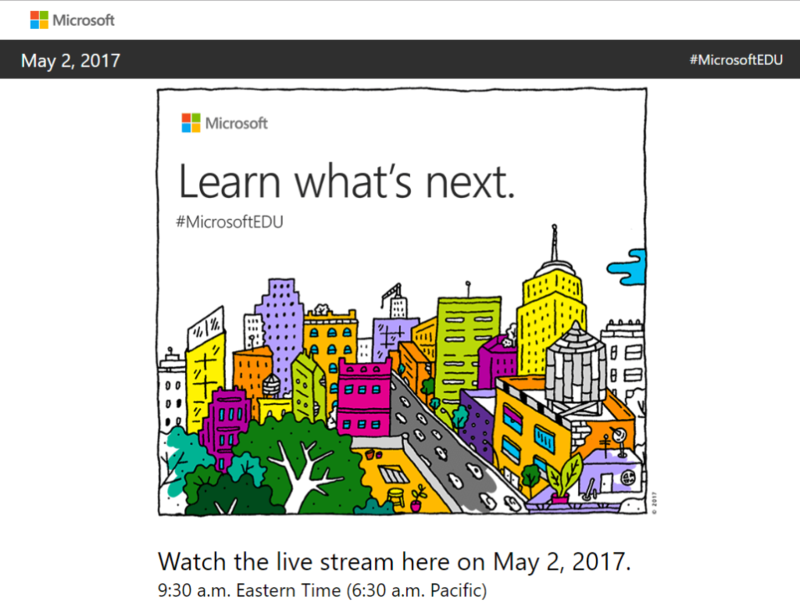 Recently, hashtags like that of ‘#MicrosoftEdu’ have been promoted by the Redmond giant and this can be the indicative that a next version of the recent Windows 10 may be on the rack. It may be called as Windows 10 Cloud project. The reports suggest that if anything like that comes up, it would be cheaper than presently running Windows 10 Home or Pro. Or is it that its going to something completely out of box type product called Cloudbook, the supposed to be Windows guys’ answer to Google’s Chromebooks? Check: Where is Xur today? For the newbies, Google Chromebooks are the next generation laptops of a different breed. Instead of Windows10 or Mac OS X, Chromebooks run Google’s Chrome OS. By definition, these machines are designed to be used primarily while connected to the Internet, with most applications and documents living in the cloud. Check: This Copy Of Windows Is Not Genuine – Error Fix. And so with such an idea in the market up and running, the Microsoft Corporation is sure to reiterate with something even bigger and better. And this could be such an event. And how exactly do we jump to such conclusions? Recently, one-time recent owner of Nokia Phones released a stack of apps on its store clubbed with the unusual ID “ CloudBook ”. The apps are completely education oriented stuff. And if CloudBook rumors are furthermore to be believed, these Cloud Books are going to be powered by an ARM chip and most probably it will be the Qualcomm Snapdragon 835 chip. The company can make it available with an affordable price. Such devices will be very useful for students as they can be long lasting. Students can connect to the internet with both LTE and WiFi. What is it that the MS is gonna showcase in this anticipated meeting, only 2nd of May can reveal that. The event will begin 9 am ET. On one hand, the upcoming OS version will keep devices more secure while on the other hand, it will have some limitations against the full version of Windows10. For example, the machines won’t be able to run apps like Steam which are not on Windows Store. Also, users will be allowed only to download apps from the Windows Online Store. But, we are expecting an option to change the same in the Settings. The positive thing is that Windows 10 Cloud will be cheaper than other versions like Home and Pro. 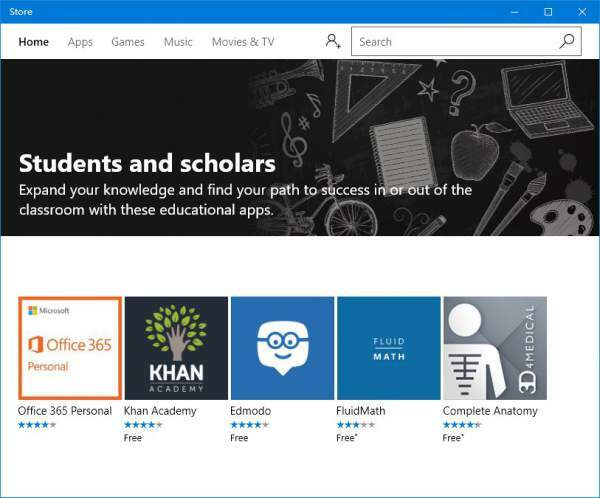 There will be a collection of education apps in the Windows Store for the CloudBook. Quad-core (Celeron or better) processor. 32GB of storage (64GB for 64-bit). A battery larger than 40 WHr. Fast eMMC or solid state drive (SSD) for storage technology. So, until then keep coming back to TheReporterTimes for more tech news and laptops updates around the world. What are your views and thoughts on this upcoming CloudBook by the Microsoft? Will it help the students? 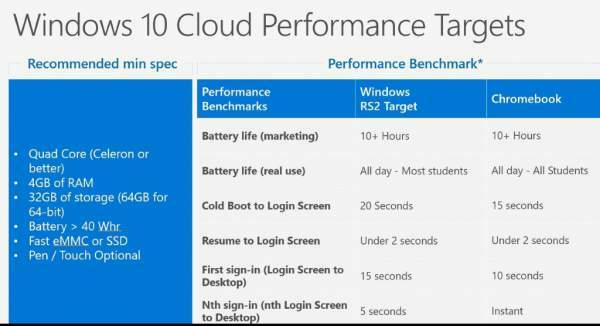 Previous articleWindows 10 Cloud: Hardware Specs Leaked? Microsoft To Take On Google Chromebook OS Soon? Next articleiOS 10.3 Jailbreak Release Date & News: Unlikely With Apple’s New AFPS? They would need to first fix Windows so less efficient. One of MS developers explained why Windows is so much slower on the same hardware. Then lump on top the security issues and it just would not make sense to use something besides Chromebooks. “They would need to first fix Windows so less efficient. ” Obviously should have been “more” efficient.